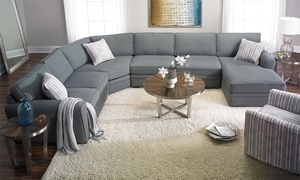 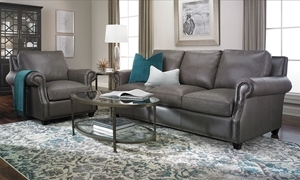 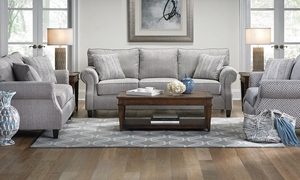 Low-profile sectional with deep seats and a loose back design peppered with accent pillows is at once both relaxed and stylish. 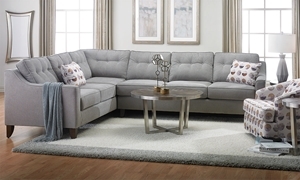 Sloped track arms, button-tufted cushions and welted detailing add trendy touches to the retro silhouette of this handmade sectional. 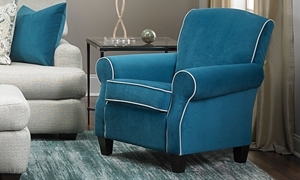 High leg armchair with contrast welting in deep cerulean blue. 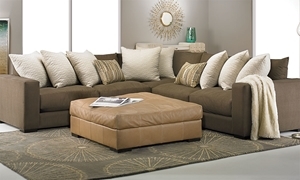 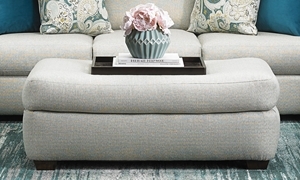 American made upholstered ottoman with modern touches, offered in your choice of custom upholstery. 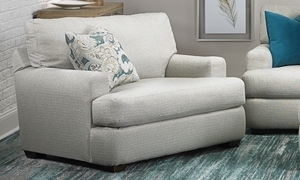 Upholstered armchair features feather down wrapped t-cushions, loose seat back. 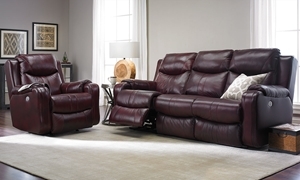 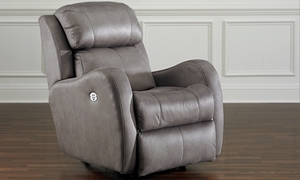 Rocker recliner with power recline and power headrest in a contemporary silhouette.